Averys began in 1793 and over the years, the family has built its reputation as one of the UK’s most pioneering wine merchants. At the heart of what we do – and have done for over 220 years – is share our passion for wine. We love discovering wines with a story to tell – whether for everyday drinking or fine wines for the cellar. So, if you’re looking for ‘real’ wines, full of character and flavour, then welcome to Averys. With two Royal Warrants, more than 300 years of history and eight Masters of Wine, Berry Bros. & Rudd is Britain’s original wine and spirit merchant. We offer a selection of over 4,000 bottles to wine and spirit lovers in London, Hong Kong, Singapore, Japan and Hampshire through our stores, warehouses & outlets, and to people across the world through our award-winning website. 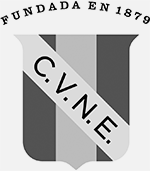 C.V.N.E., or to give it its full name, Compañía Vinicola del Norte de España (The Northern Spanish Wine Company) was established on the 24th of March 1879 in Haro, Rioja. Set up by two brothers, Eusebio and Raimundo Real de Asúa, their aim was to capitalise on the flourishing new trade in wine. It is still controlled by the direct descendants of the founding family. Now in its fifth generation, the company has been quoted on the Madrid stock exchange since 1997. Champagne Gosset was founded in 1584 and is the oldest wine house in Champagne. Gosset wines are characterised by their purity and expressiveness. The grapes come mainly from premier and grand cru vineyards surrounding Epernay and Aÿ. Their winemaking style is characterised by minimal intervention, extended ageing and no malolactic fermentation. The Grande Reserve, a blend of three vintages and three grape varieties, is powerful and shows perfect balance. Chococo is an independent, Dorset-based artisan chocolate company offering a unique range of award-winning chocolates. Our products are freshly hand-made using origin chocolate together with local, seasonal ingredients and are available online and also at our shop on Winchester High Street, where customers can also enjoy hot chocolate, coffee, tea, cakes, sundaes and more. Denbies Wine Estate is England’s largest single estate vineyard. Family owned and run, Denbies vineyard was planted in 1986, and since then has become one of the largest wine producers in the UK. The estate lies in the heart of Surrey overlooking Box Hill, where Denbies produces an award-winning range of white, red and sparkling wines. Exton Park Vineyard lies on the coveted chalk slopes of the South Downs above Hampshire’s Meon Valley, and produces award-winning white and rose sparkling wines, all made from grapes grown exclusively on this 55 acre single-estate. Over ten years, the vineyard has been carefully planted with the classic Chardonnay, Pinot Noir and Pinot Meunier varieties on varying terroirs and aspects, for the wide range of flavours needed for the winemaker’s skilful and pioneering blends. Since their launch in May 2015, Exton Park’s wines have already been awarded three Gold medals, and over twenty Silvers in the main national and international competitions. Unique and stylish wine gifts. Style that makes you smile! 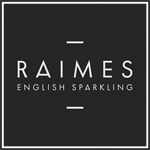 Hattingley Valley is a family owned business specialising in premium English sparkling wines. Located just North of Winchester, Hattingley Valley was established in 2008 and planted our first Chardonnay, Pinot Noir and Pinot Meunier vines. Our talented wine making team is led by Emma Rice and Jacob Leadley, both of whom trained at Plumpton College. Emma was awarded the prestigious title of Winemaker of the Year in 2014 and reclaimed this honour in 2016 to become the first woman to win this award twice! Jake’s hand-cut pork pies from Hampshire feature slowly cooked morsels of subtly seasoned free-range pork, chopped by hand, in a classic hot-water crust. Best served with a bottle of your favourite wine. Parsonage Farm, nestling in the Bourne Valley in north-west Hampshire, produces handmade charcuterie from its carefully reared animals. The Chesil Rectory is one of Winchester’s finest medieval buildings. 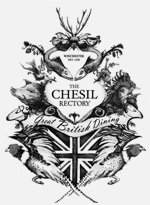 It was totally refurbished & re-opened in 2008 by Mark Dodd & a group of friends, with the aim of creating Winchester’s best modern British restaurant using local producers & celebrating Hampshire. The team, all passionate about food & wine, have established a relaxed & intimate restaurant providing exceptional quality, service & local menus in a convivial atmosphere. 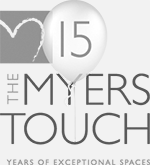 The Myers Touch specialises in interior architecture and design to create bespoke kitchen living spaces that offer far more than conventional cooking environments. An exclusive dining experience in a unique and intimate setting. The Wine Society is a mutual business, unique in the wine world. Decanter magazine’s Outstanding Retailer of the Year 2018 (the seventh time in eight years) and the International Wine Challenge Wine Club of the Year 2018, wines range from £5.75 to £500+. There is something for every palate and every pocket … and more value-for-money than you can shake a bunch of grapes at! Top Note Design create original handmade gifts and bespoke artwork for wine lovers. “Viñalba is an exciting range of wines that showcases the depth and elegance that Argentina can offer. Launched in 2008, It is highly regarded by critics – it has won over 272 medals and 20 trophies in major wine competitions, including 2017 IWSC Argentine Wine Producer of year and 2018 IWC Red Winemaker of the Year. Waitrose Cellar is the new online wine service from Waitrose. We have a range of over 1200 wines, champagnes and spirits – including online exclusives and fine and rare wines. There are also guides to the top wine regions, tasting videos and food and wine pairings + cellar specialists who are always on hand to help.